Maunga Taranaki is immensely powerful to all who live in Taranaki but even more so to some and it is significant to Inglewood Primary School in that it is the ground we are built on and the first thing you see each morning as you arrive at School ready to start a new day. It towers over us, watching and protecting as it has done for hundreds of years (or more). We have named our Whanau groups after this Majestic landmark to recognise its significance to our School Whanau and to our Ancestors. Puke Haupapa is our Turangawaewae. 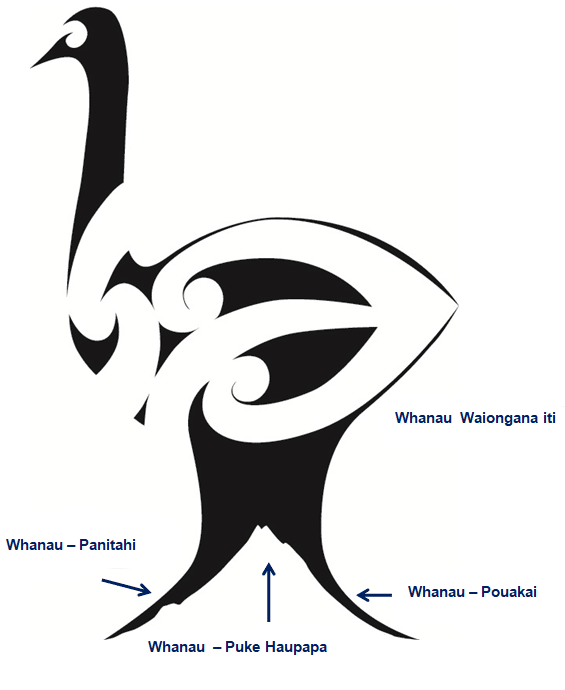 Pouakai – named after two Prominent Maori Chiefs from the Taranaki Iwi. Puke Haupapa – Means ‘Ice Hill’ The name Maunga Taranaki was given when he first arrived in Taranaki following the Battle of the Mountains. Panitahi –(Fanthams Peak) considered the second peak of our Maunga and recognised as such by some in South Taranaki. Waiongana iti Waiongana iti – is the river that flows beside the school.